I say: QR codes are the new marketing tool. You Say: You’re still not helping. I say: Simply put, it’s a fancy bar code. You say: How do a bunch of squiggly lines on a box of cereal help my business ? Well sit back. I’ll tell you about this new-to-you but 12 year old technology and how it can bridge a cell phone, a piece of paper, the internet and your business. QR Codes originated in Japan. In 1999 Denso Wave, an auto parts distributor, needing more info than a standard bar code could house, invented a new code. Enter the QR Code. Denso still holds the patent but released the technology to the world. This is huge in the Asian market but is only starting to take hold in the US in the last couple of years. At this point I want to share the magic, the …OMG… that I experienced when I discovered this. QR codes merge technology with paper and with people who are basically lazy, [not fair] but information starved. They want LOI ASAP (lots of info, very quickly) I know, it seems like we may be headed backwards but we’re not. This is an incredible gift for us. This allows us to use the already existing paper we have via business cards, posters, yard signs, brochures etc. and provide instant access to us via technology. Remember, cell phones are fast becoming the defacto portable computer. PAY ATTENTION ! You may not recognize it yet but this is really exciting and powerful stuff! But, I don’t sell auto parts. How does this help me? A URL to your website: The example above will take you to my website (when scanned). Cell phone Contact info: For example, when attending a convention many are now using a QR code on the attendee badges to store their company contact information. One merely needs to capture the code and that persons’ info is captured in your phone’s contacts. Coupons: My son and daughter in law. when shopping, are always at the ready for a QR code being displayed in a shop keeper’s window. They scan it, see the coupon, discount or info and decide if they’re interested. GEO coordinates: They can house directions to your place of business. Real estate: placing a QR code on a yard sign allows any passerby to scan the code and garner more information about the property, the representative or any other information that the agent chooses to provide. I have seen them on T-shirts, coffee mugs, business cards, billboards, products, newspapers and medical charts. Some medical patients are getting QR tattoos instead of med alert bracelets. I’m not exactly sure where they’re putting them. Maybe I don’t want to know. Here is a real world example: Imagine a contractor who posts their sign in front of a current project (home or commercial). Instead of just a name and phone number, imagine adding a QR code link to the sign that lets a passerby easily scan it. They can see and read all about you from the comfort of their car. The whole point is this, they (QR’s) are all around us… already. Just start looking. Among the younger crowd, and quickly becoming The crowd, QR Codes have a trendy & cool connotation. And no matter what the age, the upwardly mobile affluent are already doing this. For some of you this may be old news. I hope so. I hope you’re embracing and making the most of this for your business. But for the rest of you, once the potential shock of this wears off, feel free to contact me with any questions. I can show you how to effectively implement this in your business. Part two: How QR Codes can and have become part of the art and fashion world. If you wish to experiment with QR codes there are plenty of sites where you can generate codes for free in just seconds—here are a few good ones. 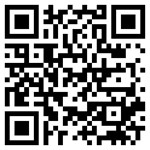 There are many sources for free QR Code Readers for your smart phone.